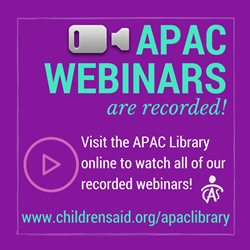 The monthly APAC Training Webinars are now archived in our APAC Resource Library, www.apaclibrary.com. Patrons will need to sign up to access the online library, then login and search for "webinars" to see a list of available webinars. Once the webinars are selected and reserved, an email will be sent with a link to watch the webinars online. 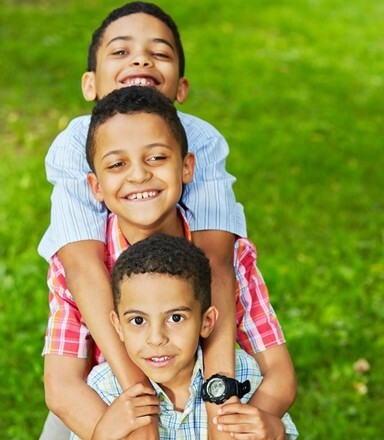 Foster Parents who access the online webinars can receive a certificate of participation to use in exchange for credit hours. For more information, contact our library by calling 1-800-489-1886 or email apaclibrary@childrensaid.org.